A new trailer released shared on Twitter hypes up Overwatch's next season mission, Storm Rising. “Target located. Overwatch Strike Team deployed. Chase the truth.” These are the words shared alongside a new trailer released via the official Overwatch Twitter account earlier this afternoon. The trailer includes several appearances from characters like Genji, Tracer, Mercy and Winston as they fight through the streets of Havana to capture a high-ranking member of the Talon organization. This new season mission is just one of several events that Blizzard has created over the past couple of years to let players dive deeper into the lore that surrounds the team-based hero shooter. Kicking off on April 16, the seasonal mission will offer over 100 items from last year, as well as new ones, for players to unlock. These items include new emotes, sprays, intros, and more. In the new trailer, Genji, Mercy, Winston, and Tracer all work together to take down a group of baddies as they try to capture the high-ranking member from his vehicle. It’s a really fun trailer full of action, and definitely shows off Blizzard’s prowess with animation. The trailer was also shared on YouTube, and we’ve included an embed of it above so that you can see it for yourself. If you’ve been playing Overwatch since the game’s release back in 2016, then these events like this shouldn’t be anything new. 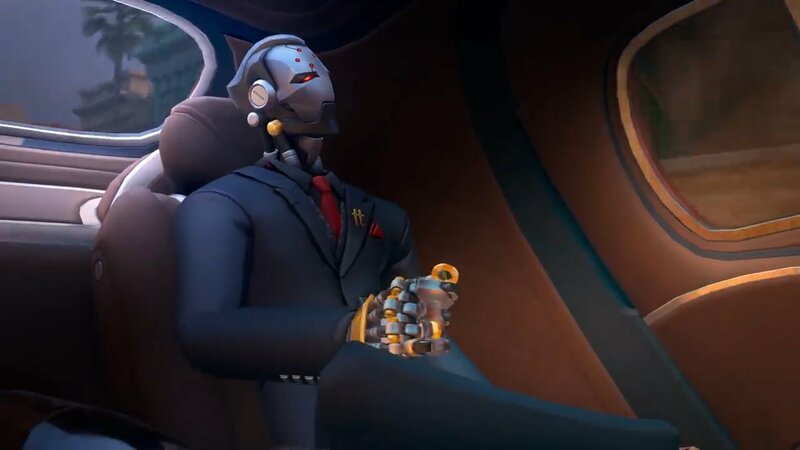 Blizzard has taken several attempts over the past three years to create new ways for fans to dive into the lore surrounding the various heroes in Overwatch, including animated shorts and seasonal missions like Storm Rising. You can learn more about the upcoming event by heading over to our Overwatch hub, where you’ll find plenty of other Overwatch news and information, including some helpful guides. We’ll continue to keep an eye on the event to see what all it brings to the table. For now, be sure to check out the trailer and prepare to dive into Storm Rising when it launches tomorrow, April 16! Socialite skin for Ashe is pretty awesome.